You find yourself in a hotel room in a strange city, like a character in the first scene of a videogame. Take a second to get oriented, to remember where fate has delivered you. Seattle. OK. You have come here to meet Ryan Green, who has made a videogame about his young son Joel’s battle with brain cancer. You’re not sure you’re ready for this, but you don’t have much choice. Deep breath. Go. Head down to the lobby. Walk outside and travel two blocks northeast to the Washington State Convention Center, which is currently hosting PAX Prime, the country’s largest annual videogame expo. Enter the convention center and locate the escalator, just there, up the stairs to the left. Ascend to the fourth floor. Walk past the long lines of gamers waiting to take a spin through forthcoming big-budget releases like Tom Clancy’s The Division and Mad Max. Work your way back to the Indie Megabooth, a collection of more than 70 independently developed, artsier titles. There is a map; find the game you’re looking for, That Dragon, Cancer, tucked away in the northeast corner. As you reach the booth, notice the poster—a digital sketch of a large man in a hospital chair cradling a small boy, an IV delivering a toxic green fluid into the child’s body. Green showed a demo of his game here in 2013, and you’ve heard the stories. Players breaking down in sobs and quickly exiting the booth. The emergency box of Kleenex, hastily procured and placed next to the monitors. The soothing reassurances to distraught gamers that Joel was, in fact, still alive. 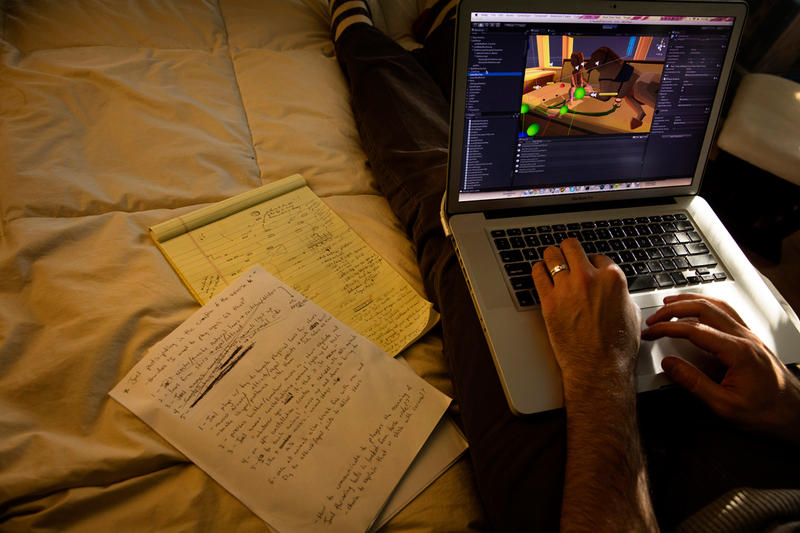 Green began working on That Dragon, Cancer in November 2012. Joel, who had been diagnosed with a rare and aggressive form of cancer just after his first birthday, was approaching the age of 4. 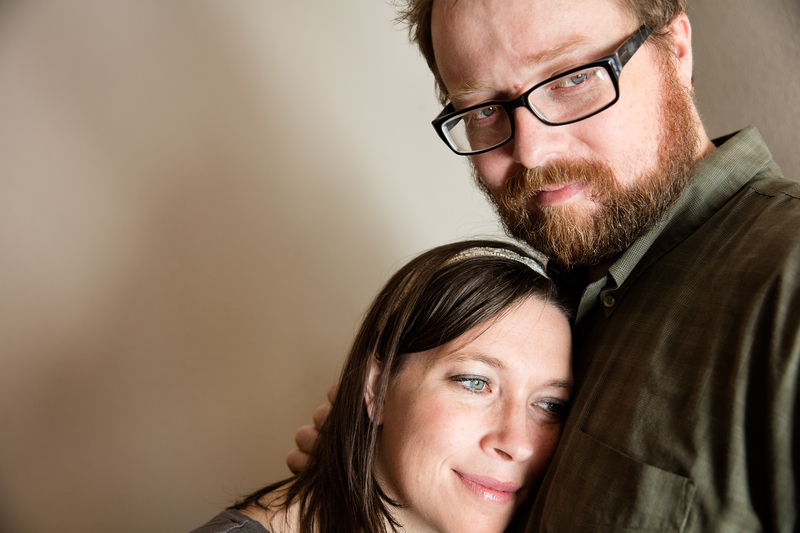 Green and his wife, Amy, lifelong devout Christians, saw this longevity as a miracle; back in November 2010, when Joel developed a new tumor after several rounds of chemotherapy, the doctors had declared him terminal, placed him on palliative care, and given him at most four months to live. The Greens had spent much of the next two years celebrating small victories and enduring crushing setbacks. 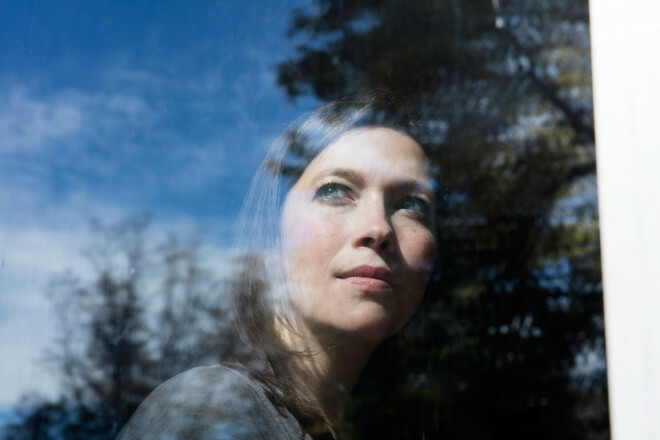 Tumors that shrank, or even disappeared, then reemerged with greater vigor months later. Steroids that filled Joel with a powerful rage. A tumor that pressed on Joel’s optic nerve, causing his right eye to turn inward. Green—along with Josh Larson, his codesigner—built a scene around that idea, and in early 2013 they started bringing it to videogame expos to drum up interest. Players found themselves in a hospital room with Ryan, clicking the walls and furniture in search of some way to relieve Joel’s suffering and quiet his screams. Yet every action—rock him, bounce him, feed him—only caused the crying to intensify. On the soundtrack, Green’s voice grew increasingly frantic until, pushed to the edge of despair, he broke down in prayer, at which point the scene ended. Amidst all the plasma guns and power-ups, it can be easy to overlook the fact that videogames are inherently metaphysical exercises. Designing one is like beta-testing a universe. Its creators encode it with algorithms, maps, and decision trees, then invite players to decipher its hidden logic. 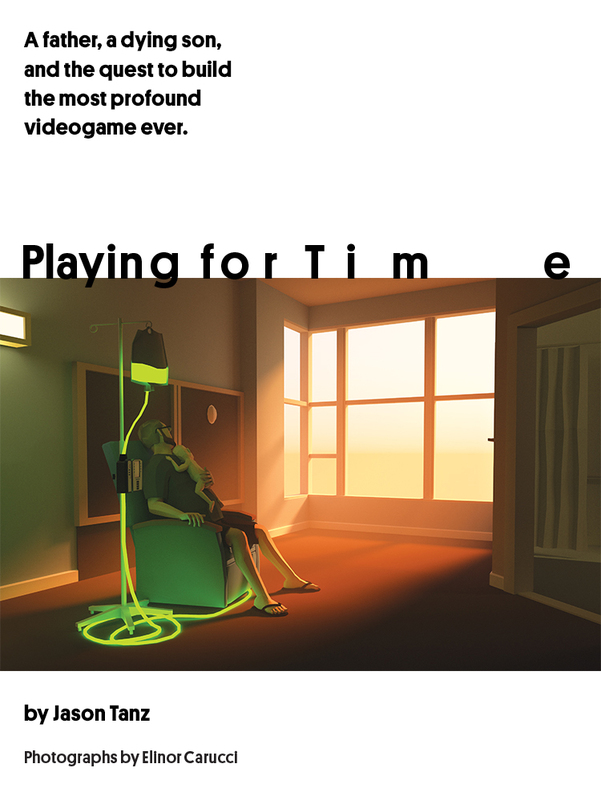 Intentionally or not, games contain implicit messages about purpose, free will, the afterlife. Master the secret rhythms of Super Mario Bros. and you can deliver the eponymous plumber to a princely paradise. But even the best Space Invaders player is fated to end the game in defeat, another futile circuit in its samsara-like cycle of death and rebirth. Toward the end of Thank You for Playing, the documentary about the game, there’s a scene in which you can spy a copy of Reality Is Broken on the Greens’ bookshelf. The manifesto, by designer and academic Jane McGonigal, argues that we should engineer our world to be more like a videogame, incorporating its system of rewards and escalating challenges to help us find meaning and accomplishment in our lives. Green, though, is doing the opposite. 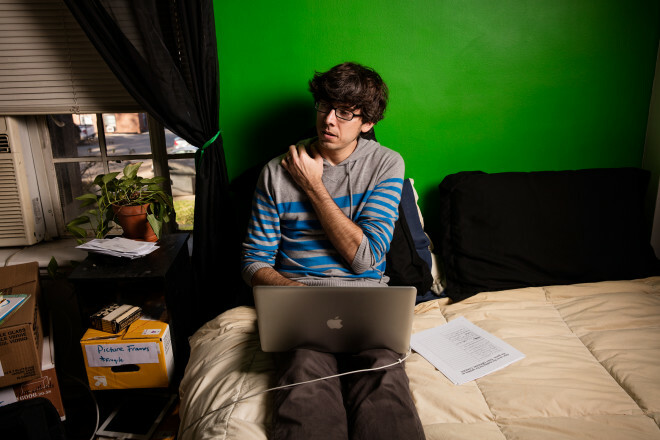 He’s trying to create a game in which meaning is ambiguous and accomplishments are fleeting. 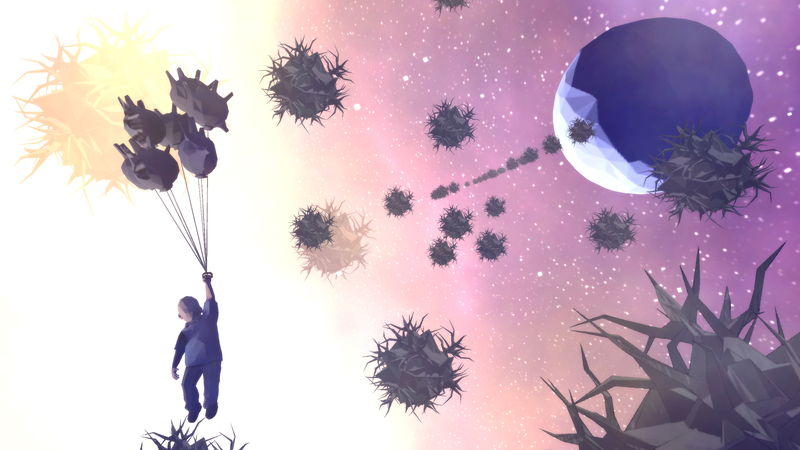 He is making a game that is as broken—as confounding, unresolved, and tragically beautiful—as the world itself. They wait somberly in line: cosplayers, young women, middle-aged men. 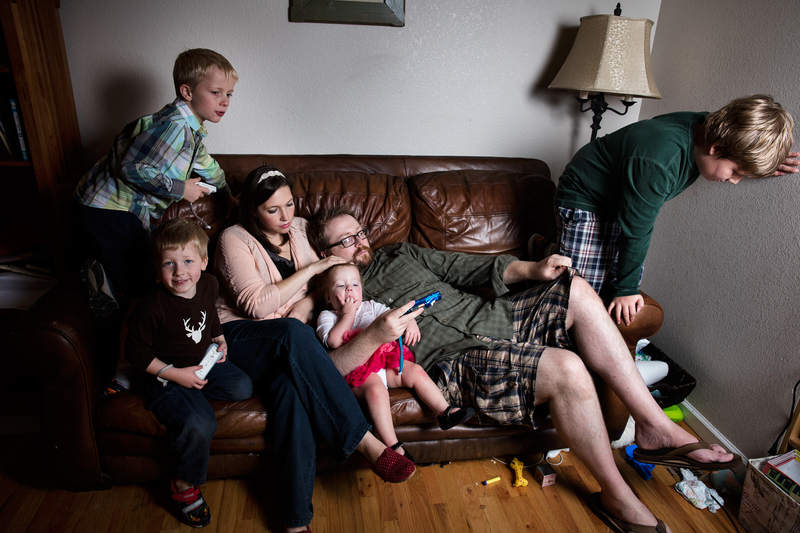 They sit in front of the monitor, put on the Bose noise-canceling headphones, and pick up the Xbox controller. Fifteen minutes later they stand and push back from the table. Many of them affect sheepish grins, rise quietly, walk off abruptly without making eye contact. A few get misty-eyed, clearly shaken, collecting themselves before they leave. 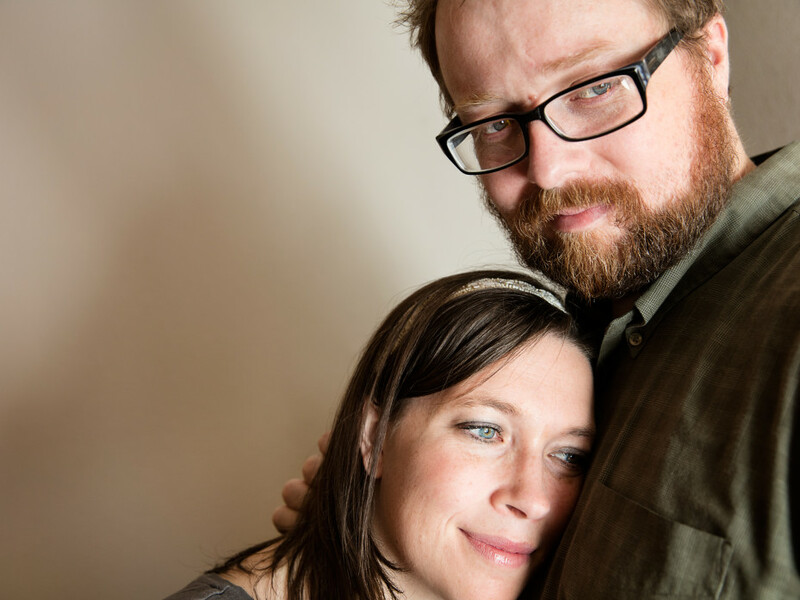 And then there’s the developer who starts weeping and says, “I don’t want to be here at PAX; I want to be home with my kids.” The couple whose own daughter survived cancer and who have followed the game’s development for years. The boy who staggers away from the screen as if emerging from a particularly punishing roller coaster. “Are you OK?” Green asks. “It’s just so sad,” the boy says in a hushed tone, staring off. He wanders away, dazed. A few minutes later he returns to collect the backpack he has inadvertently left behind. Green, on the other hand, doesn’t at this moment appear particularly haunted or upset. He stands in front of his booth with the studied casualness of someone who knows that people nearby are talking about him. His burly figure would be imposing if he weren’t dressed in cargo shorts and flip-flops, a wardrobe that—along with his sunny, authoritative demeanor—gives him the air of a summer camp director. Despite the circumstances, he is happy to be here. An experienced programmer, Green is relatively new to the indie-game world. Until recently, he worked full-time designing software for a Denver-based dialysis company, a job he held for 11 years. In 2008, just before Joel was born, Green, who had long dabbled in filmmaking, poetry, and art, decided to try his hand at game-making. He spent his evenings and weekends learning how to use the Torque game engine and cranking out silly iPhone trifles with names like Sir Roly Poly and Little Piñata. They didn’t sell well, but Green enjoyed making them. He had always fantasized about pursuing a creative career, and he and Amy hatched a plan to save up enough money for him to quit his job after a few years and build games full-time. 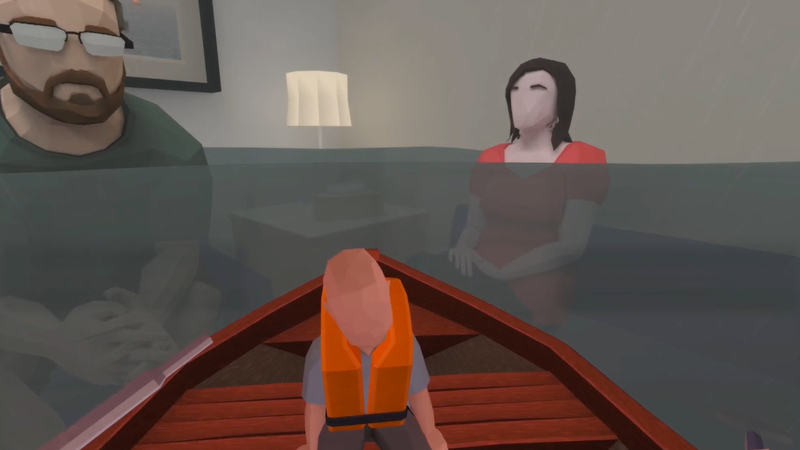 That Dragon, Cancer explores spiritual and existential quandaries that have haunted humanity since Job. When the Greens received Joel’s first cancer diagnosis in January 2010, that creative outlet became more important to Ryan, even as it grew more difficult for him to pursue. The Greens live in Loveland, Colorado, about an hour from Joel’s oncologists in Denver, and Ryan found his schedule overtaken by late-night trips to the emergency room and overnight stays in the ICU, wrestling with feeding tubes and chemotherapy pills, juggling childcare for the Greens’ other children, and all the other logistical, emotional, and psychological challenges that come with tending to a seriously sick child. Ryan’s boss told him to take as much time as he needed, and he ratcheted back to working about 30 hours a week. At the same time, he found himself taking on contract game-design work, something to keep him creatively engaged during those long and terrifying months. Then, just under a year later, Joel was declared terminal. The news caused Green to reassess his life. 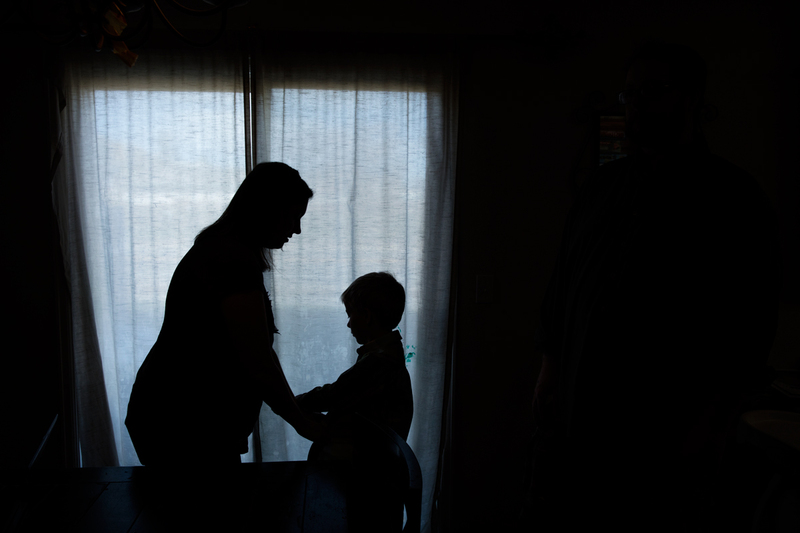 The dialysis company was giving him paid time off and the flexibility to take care of his family, and he was using it to work for somebody else. He was one month away from a $30,000 retention bonus—money that was crucial to his plan to strike out on his own—but he couldn’t stomach the idea of accepting it under such pretenses. Over the protests of his employer, he quit. Josh Larson quit work and lived off his savings to devote himself full-time to making That Dragon, Cancer. “We both felt compelled to do it,” Green says. Larson, an indie-game veteran and devoted Christian, had been spending time on a “not-games” forum, a discussion group for developers interested in avoiding the usual gamelike trappings. Green and Larson cemented their friendship during a 2011 game jam Larson organized to promote the development of what he called “meaningful games.” At Amy’s suggestion, Ryan created Giga Wife, a simple, Tamagotchi-like game in which players pushed buttons to deliver romantic gestures to their virtual spouses. In an explanatory essay, he underscored the importance of marital mindfulness, confessing that he too frequently took Amy for granted. “Most of my life has been spent taking and pursuing my desires, in contrast to giving and seeking hers,” he wrote. “I tell her I love her every day. But I’m not sure I always do it for her. Sometimes I do it out of duty.” For his part, Larson made a game based on the philosophy of Molinism, which theorizes that God accounts for free will by knowing how we will respond to certain conditions, then reverse-engineering the world to create those conditions. In Larson’s game, players had to design an environment that compelled an onscreen character to trip over a log and land next to a butterfly, thereby sparking a lifelong passion for lepidopterology. Soon the duo began talking about working together. After tossing around a few ideas, Green suggested making a game about Joel. Larson was instantly enthusiastic. “We both felt compelled to do it,” Green says now. In fall 2012, Larson announced to Green that he would forgo all of his contract work and live off his savings for a year to work on the game. 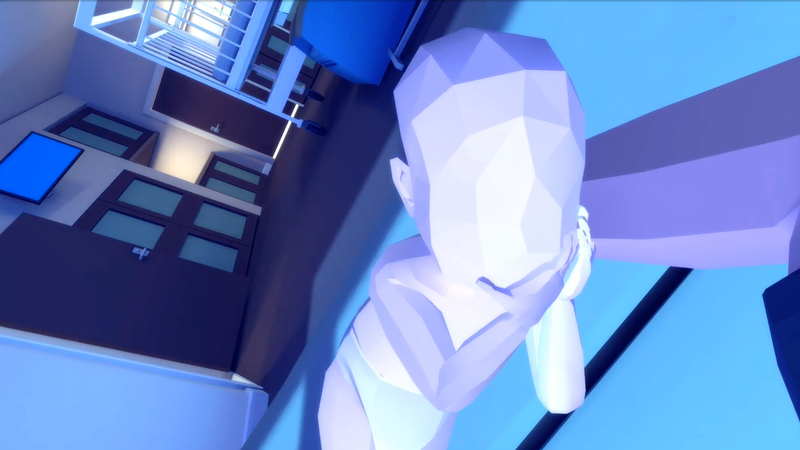 The videogame became Green’s primary method of dealing with Joel’s illness, as well as his connection to a son he struggled to understand. Green was accustomed to transmogrifying his life into art. He and Amy had already made a short film based on their experiences with Joel and had self-published a children’s book titled He’s Not Dead Yet. Now he channeled his frustration, fear, love, and hope into designing a series of interactive challenges. One preliminary idea had players struggling to insert a feeding tube into Joel’s nose. Another, called “Auto-Tune the Noise,” poked fun at the barrage of well-meaning advice—Have you tried oxygen therapy? Have you tried cutting out sugar?—that they’d received over the years. Green wrote a minigame in which players could shoot at targets that represented the terrible decisions he and Amy were forced to make—whether to undergo another round of radiation despite the damage it might do to Joel’s spinal column, whether to give Joel antiseizure medicine that might cause peripheral blindness. 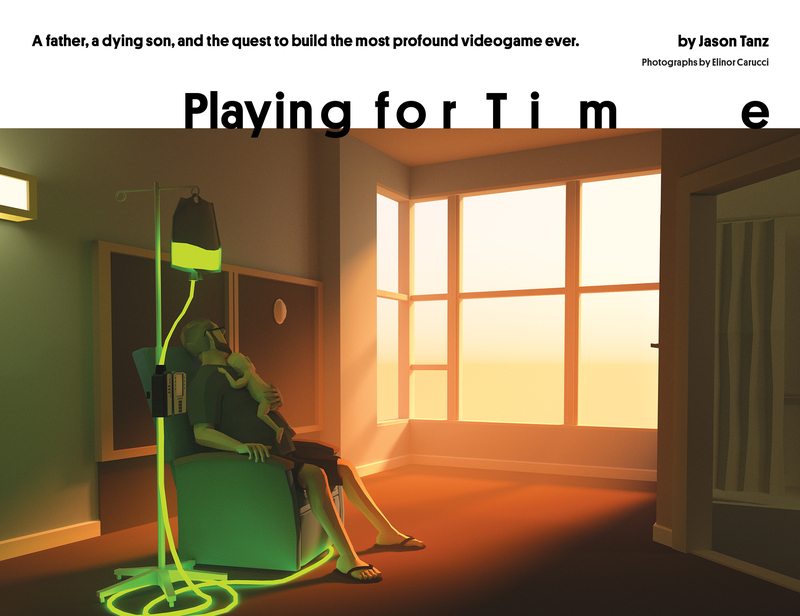 Over time, That Dragon, Cancer became Green’s primary method of dealing with Joel’s illness, as well as a way for him to preserve a connection to his son, whom he struggled to get to know. In real life, Joel couldn’t talk about his feelings, leaving Green to guess at his thoughts and emotions. Joel’s reaction to radiation therapy was particularly puzzling. Children usually hated being placed on the gurney inside the giant linear accelerator, resisted the anesthetic, fought and clawed at their parents and doctors every time they entered the room. But Joel loved it. He grew impatient in the waiting room, and his face lit up when the doctors came to get him, more excited than his parents had ever seen him. Green couldn’t know just why Joel was so enthusiastic about undergoing the anesthesia, but he wrote a scene imagining the adventures Joel might be experiencing in his mind—riding animals made of stars, giggling and tearing across the cosmos. According to Green’s original design, the game would end with you, the player, facing an array of dozens of levers. For a while you would yank and tug at them, trying to discern the pattern that would unlock the game’s conclusion. After a few minutes, the camera would pan up to reveal the back of the console, its wires frayed and disconnected. The levers were false, the game’s designer was in charge, and you were forced to acknowledge that you were powerless to control the outcome. That conclusion arose directly from the Greens’ religion, their belief that God’s will was beyond human comprehension, that we are operating within a divine plan that we may or may not have the power to influence. Even as they pursued every medical option, their agony was somewhat relieved by the conviction that Joel’s fate was ultimately in God’s hands. “With God we don’t have to do the right things or say the right things to somehow ‘earn’ his healing,” Amy wrote in an online diary soon after Joel’s first biopsy. As Ryan worked on his game, the Greens continued to believe they were on the cusp of a miracle: Joel’s survival and recuperation in spite of all medical science. But then, toward the end of 2013, Joel developed a new tumor near his brain stem, and his health began deteriorating quickly. He struggled to maintain his balance. His right eye turned more noticeably inward. He began experiencing seizures and difficulty swallowing. 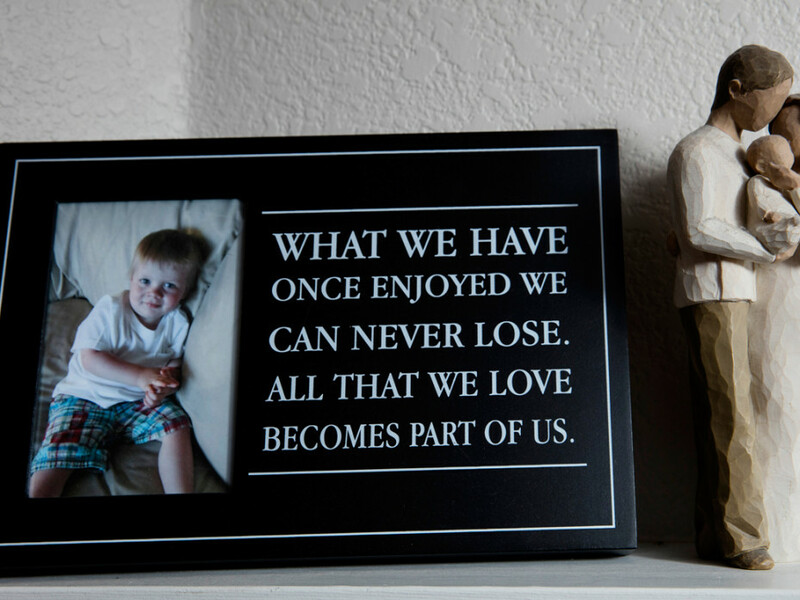 In January 2014, Joel’s oncologists told his parents that the tumor was untreatable. The Greens traveled to San Francisco to take part in a Phase I experimental trial of a new drug, but it was unsuccessful. On March 12, 2014, on the recommendation of their hospice nurse, the Greens took out the feeding tube that was Joel’s only source of sustenance. That night, they hosted an evening of prayer and song at their home. At 1:52 am on March 13, Joel died in his parents’ bed, with Ryan and Amy by his side. When you play the game, you know what Green didn’t know when he started working on it. You know how the game ends. You know that Joel dies. The team had discussed how they might finish the game after Joel’s death, in case Green had to take a few months off to grieve. But two days after the funeral he was ready to get back to work. If anything, the game felt more crucial than ever. It had been written when Joel’s death was hypothetical; now, in the shadow of the actual event, much of it seemed irrelevant or off-base. The final, lever-pulling scene came to feel particularly unsatisfying. Joel’s death may have been a manifestation of God’s unknowable will, but Green found himself unable to accept it, as the scene encouraged players to do. Over the course of the next several months, the team decided to rewrite 70 percent of the game, de-emphasizing Ryan and Amy’s experience and focusing instead on scenes that directly involved Joel—caring for him, playing with him, attending to him. The Greens—Ryan, Amy, and their four children—live in a small townhouse about halfway between Loveland’s big-box commercial district and its sleepy, red-brick downtown. Their home and schedule reflect a laissez-faire approach to time and space management. The shelves and walls are cluttered with family photos, paintings, figurines of a man and woman cradling a baby. A stack of board games towers atop the refrigerator. Two beat-up Xbox consoles inhabit the entertainment center. On a sun-blasted September afternoon, I pull up a chair in front of their TV. Green takes a seat next to me. Larson, who has flown in to work on the game for a few days, settles into an easy chair. Amy is here too, sitting next to Jon Hillman, a local composer who signed on as the game’s sound designer after meeting Green at a coffee shop. The game’s two other far-flung designers, Ryan Cousins and Brock Henderson, are waiting to discuss my experience via Google Hangouts. Green smiles and hands me an Xbox controller. I am about to become the first person outside the core development team to play a full run-through of That Dragon, Cancer. I am not a great player of videogames. I get disoriented easily, I am quickly overwhelmed by complicated button combinations, and I often pass right over the clues and prompts that designers use to nudge players through the story. But That Dragon, Cancer is not a tricky game to master. Indeed, it’s barely a game at all, more a collection of scenarios that the player explores and clicks through. There is some degree of agency—you can decide how long to spend in any particular scene, for instance—but the overwhelming sensation is one of being a bug caught in a rushing river; you might veer a few degrees in either direction, but you can’t alter the overall flow. All videogames are deterministic; some just mask it better than others. The Super Mario Bros. series may give the appearance of serendipity, but creator Shigeru Miyamoto planned every surprise down to the pixel, a kind of 8-bit Truman Show of false autonomy. For all their free-range chaos, the massively multiplayer games of the ’90s and ’00s were ruled by “gods” and “immortals”—admins who could spy on players, take control of their avatars, or single-handedly wipe objects out of existence. Today, many of the most popular cinematic titles hew to what Koster calls the “string of pearls” design: lots of freedom within individual levels, but a rigid structure that ultimately forces the player’s hand. “You have all the choices in the world, until you have to move on and do what they tell you,” he says. But some game designers have taken the opposite approach, calling attention to players’ fundamentally powerless position. The 2007 blockbuster BioShock put players in the role of a vengeful amnesiac who learns in a climactic scene that his seemingly independent actions have been programmed, Manchurian Candidate-style, by the game’s villain—just as the player’s own actions had been programmed by the game’s creators. In the comic meditation The Stanley Parable, a hapless office worker explores his abandoned workplace while being harangued by the game’s domineering narrator, who grows more flustered and hostile with every act of disobedience. But each seeming transgression—going through the door on the right instead of the suggested door on the left, for instance—is undercut by the realization that it’s all part of the game’s inescapable design. Thank You For Playing (2015) – Official Teaser. That Dragon, Cancer is very much in the Dear Esther mold, pulling players through an evocative landscape whose meaning proves elusive. It’s not even clear what character you inhabit—sometimes you’re Green, sometimes you’re a bird, sometimes you have no body at all but hover above the action, watching from a benevolent remove. Sometimes you interact with the characters onscreen—as when you cavort in a playground with Joel—and sometimes you manipulate them, as if you’ve entered their bodies. Green, Larson, and the rest of the team monitor my play closely. Do I realize I’m supposed to follow that sweep of light down to the waterfront? Did I find the cell phone that unlocks the next stage of the game? What did I think that wing-flapping sound indicated? Did I understand why that blue van was parked under the lighthouse? For the most part, I move easily through the game, but I get stumped halfway through. Ryan is drowning, curled shrimplike in the middle of a vast sea, a portrait of helplessness and despair. Looking up I see a slightly damaged life preserver on the surface of the water. I realize that, by steering the pointer near Ryan’s body and pressing a button, I can get him to swim. But when I guide him to the surface, I can’t get him out of the water. He sputters and gasps but won’t grab the life preserver. I keep trying—five, six, seven times. Green, sitting next to me, stares at me meaningfully. “I think I need some help,” I say. That’s when I notice the light, glowing up from the bottom of the sea. I reorient my pointer and urge Ryan down. It takes a long time, so long that at one point I’m convinced I’ve hit another dead end and give up. But it turns out I just haven’t gone far enough. Eventually, after swim­ming for a few more seconds, I reach the bottom and the scene ends. By turning his personal loss into art, Green has also been able to convert his grief into labor. At times, that’s a gift—when he’s designing a landscape or animating a character’s movement, he can almost lose sight of the larger story. But occasionally he’ll be crippled by the enormity of what he’s grappling with. 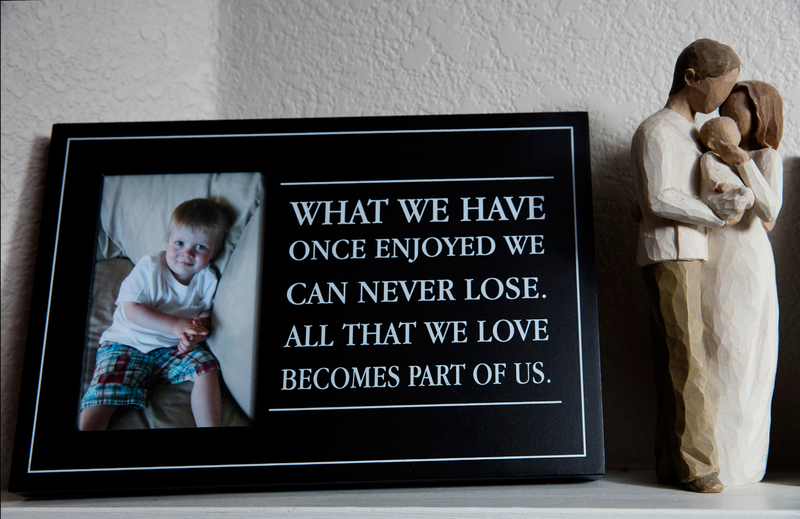 Once, he says, he broke down sobbing while positioning images of himself and Joel on a hospital bed. Cousins, the designer, told me that he sometimes hesitated before sending Green new animations of his son, for fear it might be overwhelming. Larson sometimes has to take extended breaks, particularly when he’s doing speed-runs—high-velocity run-throughs of the entire game—experiencing Joel’s decline over and over again. Toward the end of the run-through, I enter a giant cathedral. This is the scene that Green has worked on most diligently since Joel’s death. It replaces the lever-pulling scene, his initial idea to urge the player toward accepting his own powerlessness. This is the scene, Green says, that embodies all the wrestling with God he has endured since his son’s death, the scene that once provided answers but now leaves only questions. I brace myself. I exhale and sit back as he takes the controller. A wave washes over me. It feels like relief. It’s no longer my job to navigate this treacherous emotional landscape. All I have to do now is put myself in the designer’s hands. 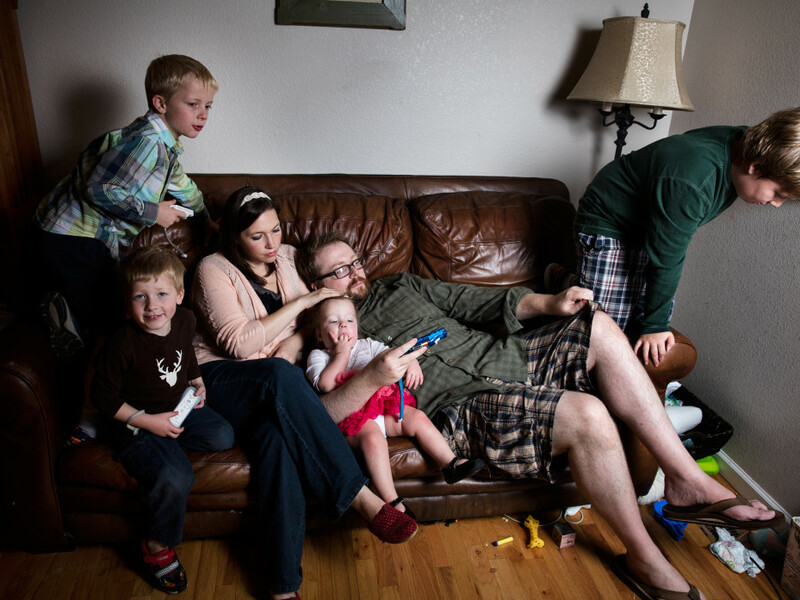 The Green family relaxes at home in Loveland, Colorado. Ryan recorded his eldest sons’ voices for the soundtrack of That Dragon, Cancer. Settle into your chair. Turn to your left. There is Ryan Green, his hands on the Xbox controller, his eyes focused on the screen. Face forward and watch the game. Your view swings around the cathedral, awe-inspiring in its size but clearly under construction. You see scaffolding, an unfinished stained glass window. Now the picture swings around again and you are looking at the altar, and there is Joel. He looks impossibly small inside this vast expanse. Behind him, Jumbotrons recapitulate and magnify his image. But for now, sit here, in the Green family living room. The cathedral scene is over, but Ryan does not offer you the controller back and you do not ask for it. Joel is back on the screen, but now he is healthy and happy. The room fills with his laughter—his actual laughter, recorded before he died. Ryan pushes a few buttons and makes Joel laugh harder. Don’t look directly at Ryan. Stare straight ahead, but note that you can still see him, hazily, in your peripheral vision. Take him in, watch him there, crying and smiling, playing with his creation on the other side of the screen. Editor at large JASON TANZ (@jasontanz) wrote about Salman Khan and his new lab school in issue 23.11.